Your pizza looks so good! Especially with that fresh mozzarella, it must have tasted amazing! this is so funny! I just made this the other day and have it in my "to post" file! Great minds think alike! Though yours is much prettier than mine :) Yummy stuff! Damn, girl. That looks great! 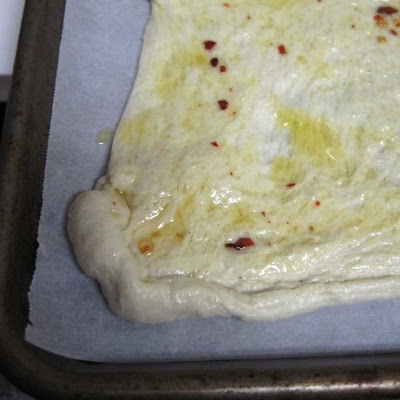 Simple is good for a pizza like this. You can taste every flavor. 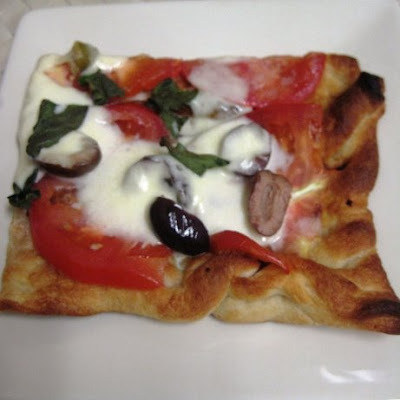 Next time, reheat the pizza in a toaster oven! It saves a soggy crust. Looks great. 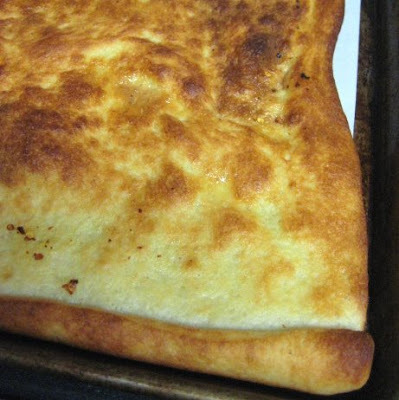 Great idea to use the pre made dough. I so wish we could get ahold of those pillsbury rolls of good stuff here in the UK. I miss the cinnamon rolls the most. Looks so DAMN tasty!! WOW wonderful!! ooo double cheesiness and i LOVE kalamata olives! 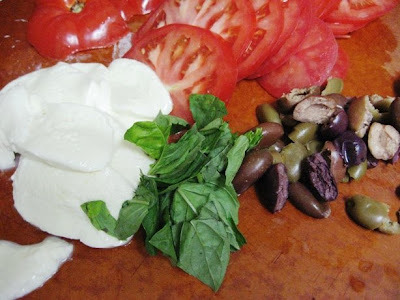 Fresh mozzarella, basil, and kalamata olives...heaven! So dainty and delicious looking pizza! Yum! 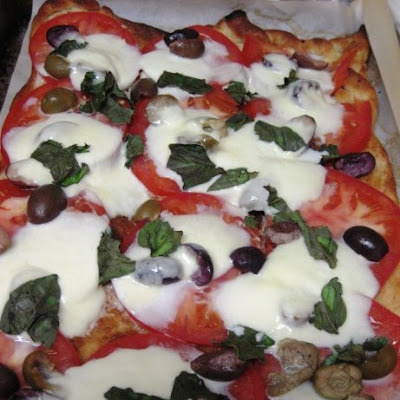 I love Caprese salad so this would be the ideal pizza for me! Such beautiful Pizza, looks really tasty as well. 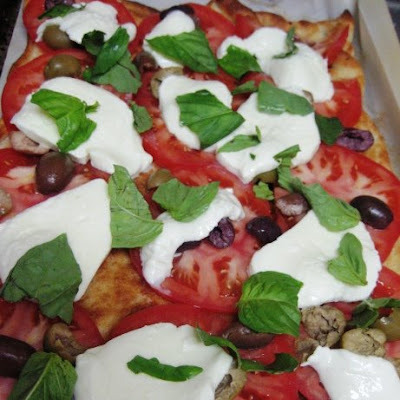 Fresh mozzarella is perfect on pizza. Hi, thanks so much for crediting my blog, and I'm so glad you found it a good tip. I'll have to add red pepper flakes too!